Jessica Lee is a host of exceptional ability. Studies show that a vast majority of guests attending events by Jessica have been known to leave more elated than visitors to Santa's Workshop, The Lost of Continent of Atlantis, and the Fountain of Youth. Intapp co-founder Thad Jampol leads the company’s global product vision, design and development, and go-to-market strategy. He is the architect of the Intapp Professional Services Platform. Thad has 20 years’ experience in bringing vertically oriented enterprise software solutions to multiple industries. He works with Intapp’s global customer base to address their key challenges, including growth, operational efficiency, risk management, and client success.  Join hundreds of capital markets professionals on June 6th, 2019 at the 2nd annual DealCloud Connect Summit in New York City! Complimentary event access is offered exclusively to DealCloud’s investment banking, private equity, lending, corporate development, investor relations and LP clients. We’ll be sharing high-quality, industry-specific content all day long, including DealCloud platform tips and tricks, panel discussions, and keynote presentations, as well as on-site technical support through our DealCloud University Bar. We will provide a sneak peek into our newest features, enhancements, and innovations yet to come… and be sure to stick around after the conference for cocktails, canapés, entertainment, and networking! • Is your old client a new risk? • Should you put your Conflicts data in the Cloud? Throughout his 25-year career, Laurence Tosi (“LT”) has been on the front lines of growing highly successful businesses in New York and San Francisco. From closing deals, to fundraising, to operations, LT has a strategic mind and a knack for identifying, investing in, and launching innovative technology companies like iLEVEL and Ipreo, among many others. During this fireside chat with DealCloud’s CEO Rick Kushel, LT will discuss the lessons he’s learned, the trends he’s observed, and his views on the areas ripe for opportunity in 2019 and beyond. A Tale of two Coast - During this fireside chat with DealCloud’s CEO Rick Kushel, Laurence Tosi (“LT”) will discuss the lessons he’s learned, the trends he’s observed, and his views on the areas ripe for opportunity in 2019 and beyond. DealCloud COO, Lokesh Seth, and Director of Product Management, Eric Hayduk, present DealCloud’s product vision and key themes that drive the roadmap. Session includes a walk-through of new enhancements to the DealCloud platform. A panel discussion featuring industry peers. More details coming soon. A break in the day's content to network. Have questions about your DealCloud site? A team of experts will be available to answer your questions or help throughout the day. A choice of 3 breakout sessions for you to choose from. Session options will include panel discussions, feature deep dives and workshops. Wrap-up of the day's remarks and discussions. Enjoy cocktails and canapes with live entertainment. Laurence Tosi is the Managing Partner and founder of Weston Capital. Previously, he served as the CFO at Airbnb; as CFO and Management Committee Member at the Blackstone Group; and as the COO of Merrill Lynch Global Markets and Investment Banking Group. Laurence Tosi received an MBA and Doctor of Law from Georgetown University. Register today and let Sarah Goldfuss know if you would like access DealCloud's hotel discounts near by. Convene at 32 Old Slip is just steps from Wall Street and the New York Stock Exchange, on the corner of Front St. and Old Slip off FDR Drive. Pinnacle is one of the world’s premier consultancies focused on the implementation and optimization of enterprise technology within law firms. It has unrivaled expertise across global finance systems, compliance, and business intelligence, with operational hubs in the UK, US and Europe allowing both seamless international delivery and strong regional focus. Connect19 will see the launch of a new business development (BD) practice team to help firms meet the challenges around client development. The BD team brings together technical knowledge, CRM knowhow, change and process engineering to help firms get the best out of the Intapp Pricing and Experience products. The 75-strong practice also offers 3E implementation, development and training services; program management for Enterprise to 3E migrations; business intelligence solutions based on Elite Data Insights and MS Power BI; a broad range of Intapp-based risk management, business acceptance and compliant time consulting and development work; change management; and a suite of flexible managed services. Wilson Allen brings together a team of a highly respected business and technology experts following the completed merger of Wilson Legal Solutions and Stanton Allen. We offer professional services firms unprecedented software, strategic consulting, and technical expertise to strengthen business performance. Our focus is on empowering firms to enhance client life cycle management by using data and software more effectively — from business development and client acquisition to service delivery and operations as well as billing and collections. We work with organizations worldwide, enabling them to gain greater insight from their data and execute more effectively based on that insight. Aurora North implements everything Intapp, intelligently. We’re the largest, most experienced Intapp services provider, certified to work across their entire portfolio. We’re ready to put our skills, team, and proven methodology to work for you, globally. We don’t need to reinvent the wheel from scratch for you—we have a warehouse of wheels built over 15+ years. We understand your existing IT infrastructure, applications and data—and how those tie together with the operational workings of your firm. Complexity and challenge don’t scare us, just the opposite. We work to achieve success for you and build a long term relationship. Inflection IT is exclusively an Intapp partner focused on making Intapp implementations easy and surprise free. Inflection IT provides expert technical implementation and advisory services for all Intapp products including Intapp Walls, Open, Flow, Integrate, Time and Pricing including fixed-fee engagement options and automation tools to speed the implementation and testing phases. The Inflection IT team includes several former Intapp product managers who designed and built the technologies they now support. Intapp Admin is a host of exceptional ability. Studies show that a vast majority of guests attending events by Intapp have been known to leave more elated than visitors to Santa's Workshop, The Lost of Continent of Atlantis, and the Fountain of Youth.